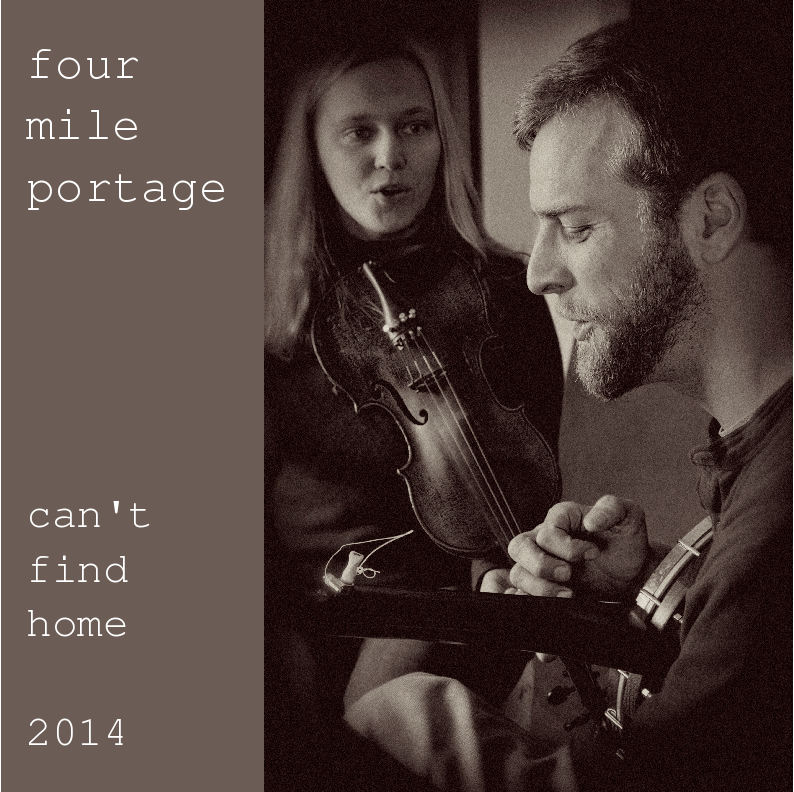 Our new CD, Can't Find Home, released January 2015! 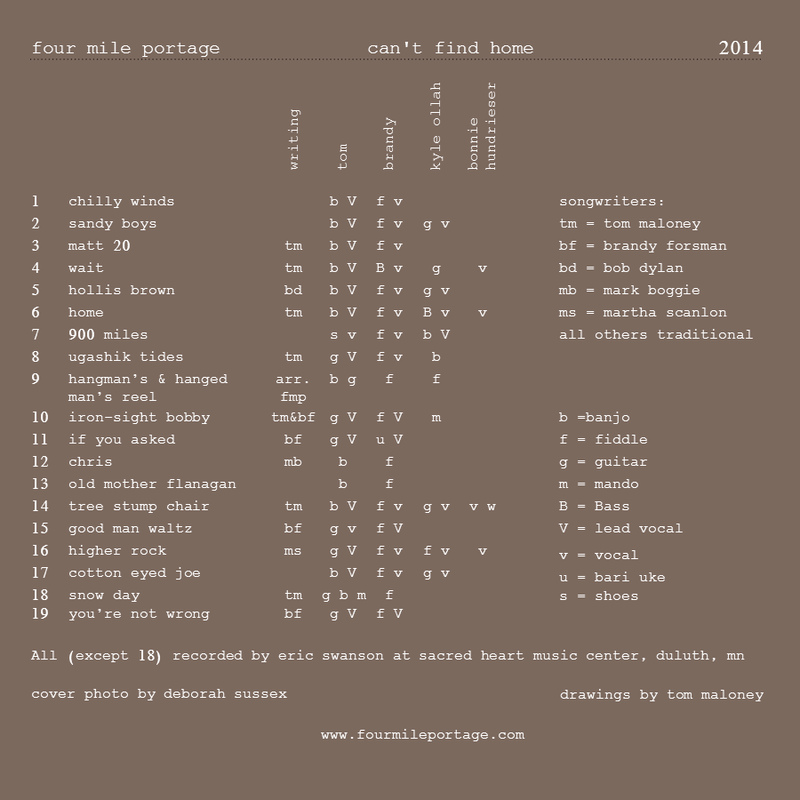 Previous to "Can't Find Home", we had four recording efforts. Click to learn more about each. 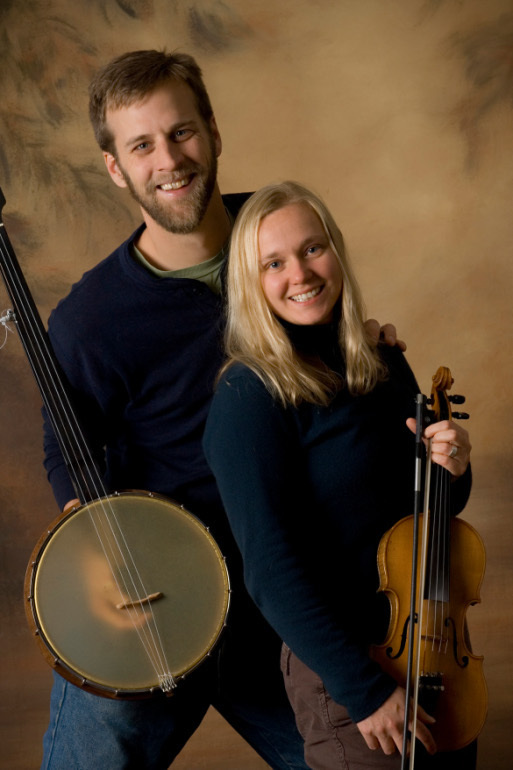 In February, tom took five days at a family cabin in Ely for a song-writing retreat. 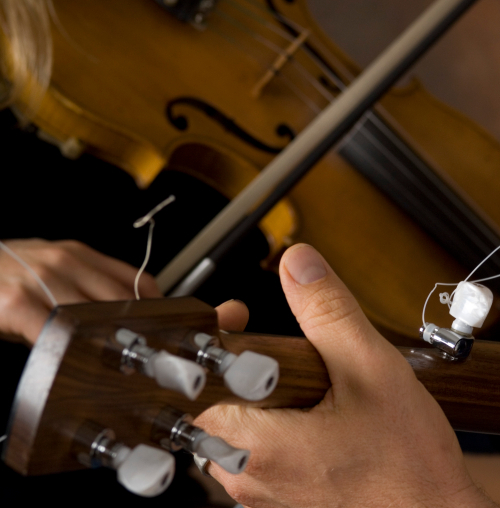 Click here to hear the results. 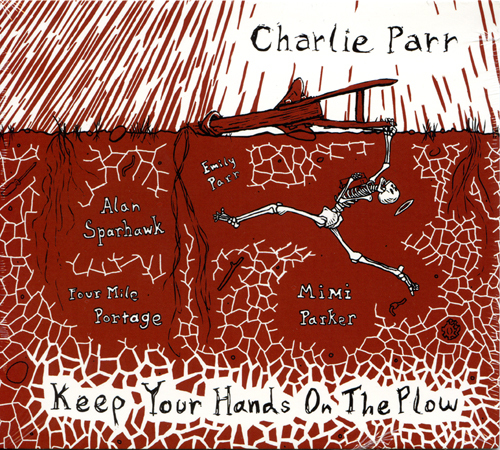 In the summer of 2011, We were blown away when Charlie Parr asked that we join Emily Parr, Alan Sparhawk and Mimi Parker in recording on his Keep Your Hands on the Plow CD and album. For further fun, Tom likes to cover his favortie songs from youth. Click here for those MP3's.